Akasha Mhlanga obtained her IT Technical Support qualification (NQF level 4, 164 credits) in 2015 and IT Solutions Expert: MCSA (NQF level 5, 147 credits) in 2016. Akasha was lucky enough to be awarded a Bursary to set her onto this journey of learning at CTU. She completed her required 80 hours of workplace experience at Afrikaanse Meisies Hoërskool in Pretoria, assisting with various IT related tasks. In 2016, Akasha was approached by Hoërskool Menlopark to assist the IT department as an IT technician. 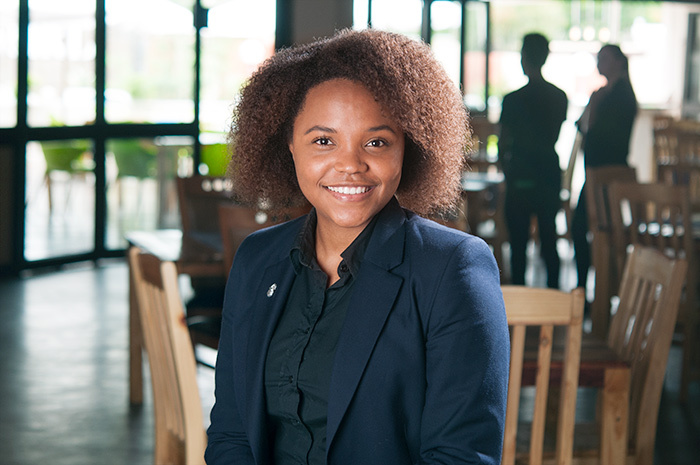 Akasha is now working as a Student Advisor at CTU’s Centre of Excellence in Pretoria, guiding students towards making the correct career choices.